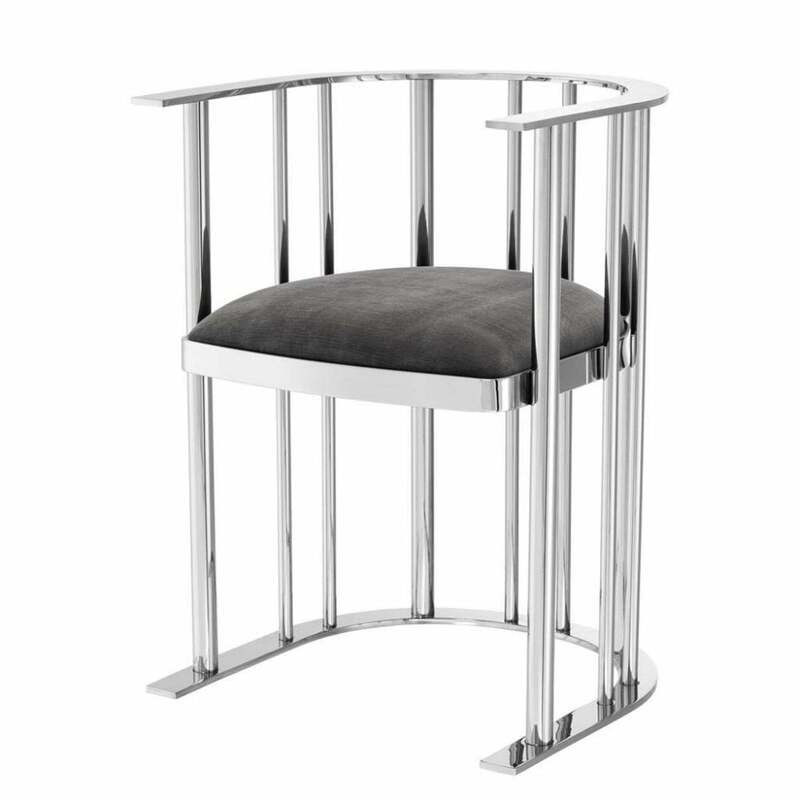 An investment piece for design lovers, the Reina Chair by Eichholtz features striking cage framework that creates a curved seating solution. Inspired by industrial architecture, the plush velvet seat contrasts beautifully with the polished metal. Upholstered in a smooth granite grey, the seat adds texture and depth to the sleek chair. With a low back and curved armrests, Reina is crafted from stainless steel. This accent piece offers refined sophistication for interiors styled with chrome or nickel accessories. Add a fluffy, faux fur cushion to create a luxe look. Reina would make a glamorous seat for a dressing table. Make an enquiry for more information.